Having a garden gives you the opportunity to have an amazing relaxed time with your family and friends, enjoying some barbecue or simply having a cup of tea and reading a book. Whatever it is that you like to do in your free time, the garden gives you many possibilities to have quality time at home. However, it’s not that easy at all to maintain a nice garden. It wants a lot of effort and time, spent on taking care of the garden. Many people can’t find all that time that is necessary and often leave their garden unattended, allowing them to lose their beauty. Don’t let this happen to your garden, especially if there is a great option you have – to use professional gardening services and let experts maintain your garden for you. In this way you can easily and effortlessly enjoy a lovely garden and have a wonderful time at home. 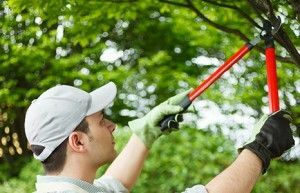 Our gardening services are offered at low prices that are absolutely affordable. At the same time, we guarantee high quality and excellence. We work with a team of professional gardeners, who know how to make your garden look better than ever and liven it up again. Our employees use the latest equipment, which, together with their knowledge and skills, helps them perform their tasks quickly and efficiently. We are available seven days a week, including holidays. Book us now!